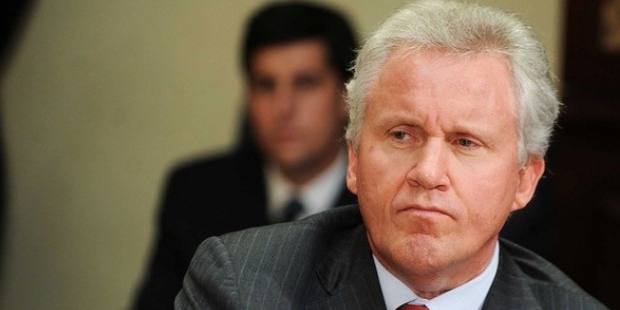 Jeffrey Immelt is a Harvard Graduate and the present CEO of the conglomerate General Electric. 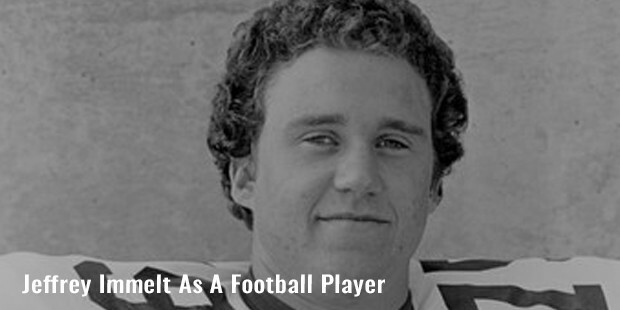 A football player at heart, Jeffery is well known for his leadership qualities. He has successfully pulled the company out of three major crises, after taking over as the head. 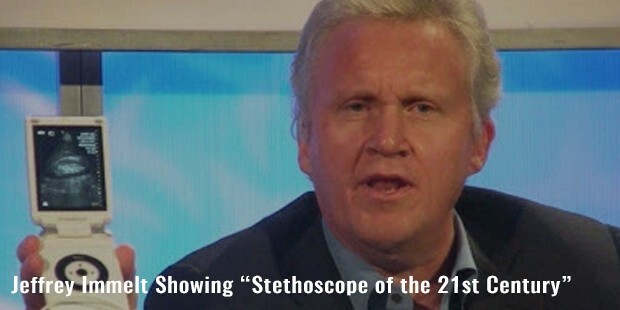 He has also held the position of CEO and President of GE’s Medical Systems Division. Immelt was born in Cincinnati, Ohio. His father, Donna Rosemary was the manager at General Electric Aircraft Engines Division. His mother, Donna Rosemary, was a school teacher. 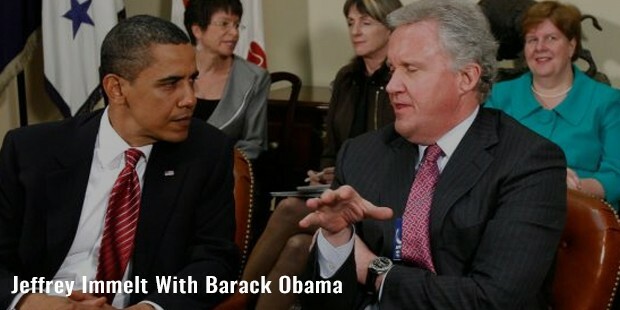 Immelt attented Finney Town High School and graduated from Dartmouth College in 1978. After graduation, he worked for Procter and Gamble. He then got into Harvard Business School and graduated with an MBA degree in 1982. 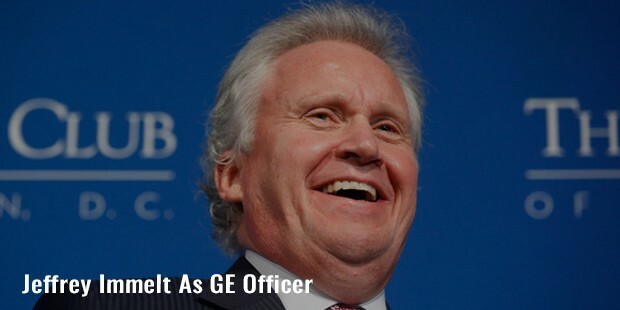 Immelt began working for General Electric in 1982 and became the GE officer in 1989. In 1997 he joined the GE Capital Board and became the Chairman and CEO of GE in September 2001. The company faced daunting challenges after he took over as CEO. The 9/11 terrorist attack killed two of GE’s employees. Also GE's insurance business of $600 million was adversely hit. The terrorist attack also affected the Aircraft Engines division of the Company. 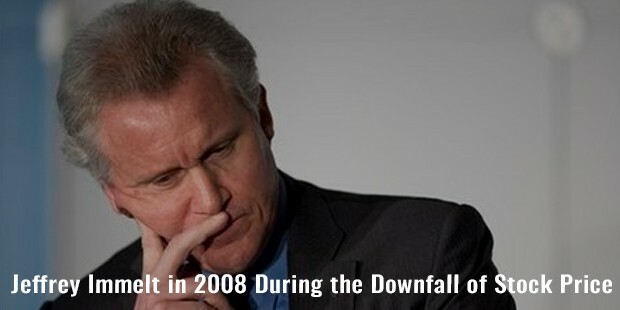 Immelt defended the Company’s business model and its financial reports during the Enron crisis. In 2008-09, under his leadership, the Company successfully withstood the financial crash. GE was ranked among the Fortune 500 as the 26th-largest firm in the U.S. by gross revenue and as the 14th most profitable in 2011. Two employees of General Electric received the Nobel Prize: Irving Langmuir in 1932 and Ivar Giaever in 1973, respectively. Immelt was thrice, named as the World's Best CEOs by Barron. He was named as Man of the Year in 2003 by The Financial Times. He also featured in Time magazine's 100 most influential people’s list in the world in 2009. Jeffery is associated with many charitable organizations. He was elected as Charter Trustee of his alma mater, Dartmouth, in 2008 and is still continuing in that role. 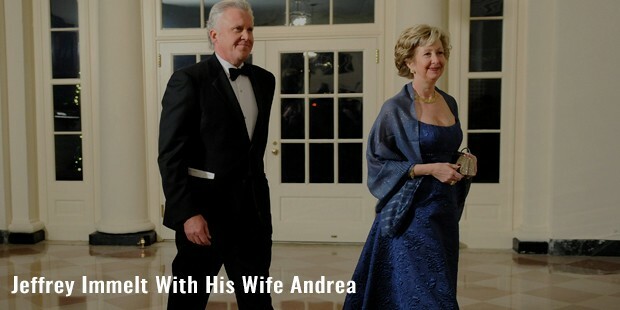 Immelt is married to Andrea and they have a daughter Sarah. They live in Connecticut. In April 2015, Immelt won the 20th edition of the Leonardo International Prize "as a foreigner who reinforced his country's cultural and economic ties with Italy."